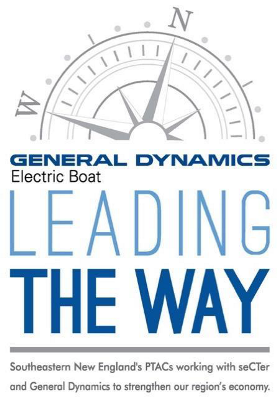 At the upcoming "Leading the Way" event on Wednesday, May 29, potential suppliers will connect with procurement personnel from the seven divisions of General Dynamics at a full-day event at the Mystic Marriott in Groton, CT. The number of attendees will be limited to ensure that participants have a meaningful experience and therefore advanced registration is required. Registration is open to all businesses and individuals interested in learning more about procurement opportunities at GDEB. All attendees must pre-register; no walk-ins will be admitted. A limited number of registrants will be selected based on readiness criteria to meet with participating General Dynamics procurement personnel. Additionally, a number of trainings and business-to-business marketing opportunities will be available to registrants throughout the day. For further information and to learn how to register, please visit www.leading-the-way.com. Questions may be directed to Nancy Cowser, Executive Director of seCTer, at secter@secter.org or 860-437-4659. Registration closes April 19. Disclaimer: None of the proceeds from this event go to General Dynamics or Electric Boat. Attending this event does not guarantee that your company will receive a contract with General Dynamics or Electric Boat, nor any invitation to bid.